Your relocation to London will give you the chance to experience a world of culture and literary genius. All in one city. London is literally one of the most literary places on the planet. Even if you have packed your handy e-reader for your relocation to London, you can stop reading for a moment and head to some of the awe inspiring literary festivals and literature shows in the city. It’s not all about novels and books; the world of literature in London encompasses poetry, international literature, books for children comics and graphic novels. It’s a cornucopia of words, art, prose and the fine art of telling a story. If you’d like a bit of culture after your relocation to London you can head out this Sunday to the Wimbledon Book Fest. Saturday is a filled with lectures, book signings and the chance to listen to authors reading from their works. 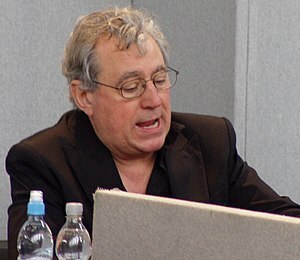 Terry Jones of Monty Python fame will be enchanting readers of all ages with a selection from his new book “Animal Tales”. He will also be chatting to David Wood about writing for children. The Big Tent on Wimbledon Common plays host to Jones and other authors during the day. Jones will be speaking at 2pm and the entry fee is £7. Sunday is a great day for children at the Wimbledon Book Fest. The Wombles of Wimbledon will present a songs and stories for children. The morning event is sold out but you can still purchase tickets for the 2pm session. It’s not all for children though. If you fancy yourself a bit of a writer, you can attend a lecture on how to get a publishing deal or any of the dozens of sessions by authors and agents during the festival. Moving here will give you the chance to do so much more than you ever dreamed of. It’s not just about leases and bills and finding your way to work in the morning. It’s about immersing yourself in a culture, experiencing life and grabbing every chance you get to live as a local.